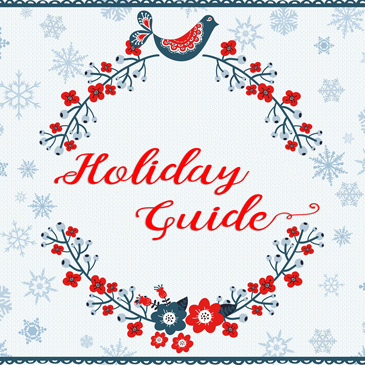 Monterey Bay Area with Kids Travel Guide - Bash & Co. 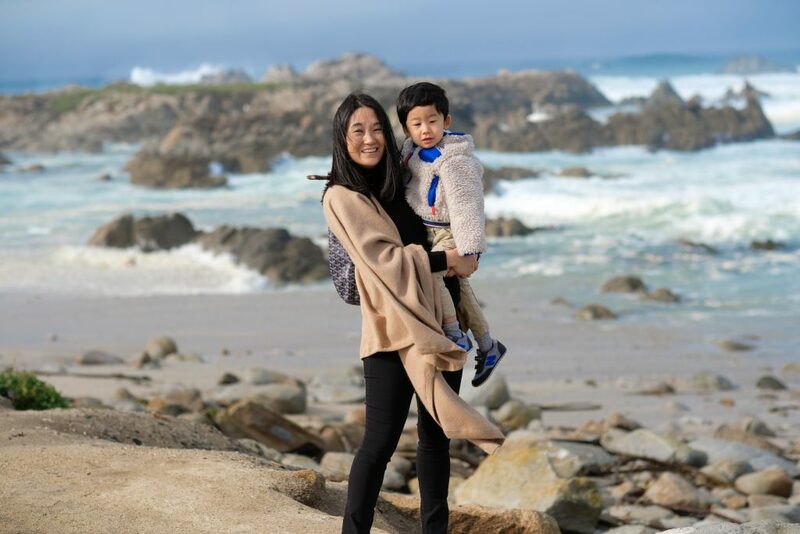 If you are heading to the San Francisco Bay Area, it’s also worth a trip to the Monterey Peninsula (Monterey Bay, Carmel-by-the-Sea, Big Sur, Carmel Valley, Pacific Grove, Pebble Beach) area. 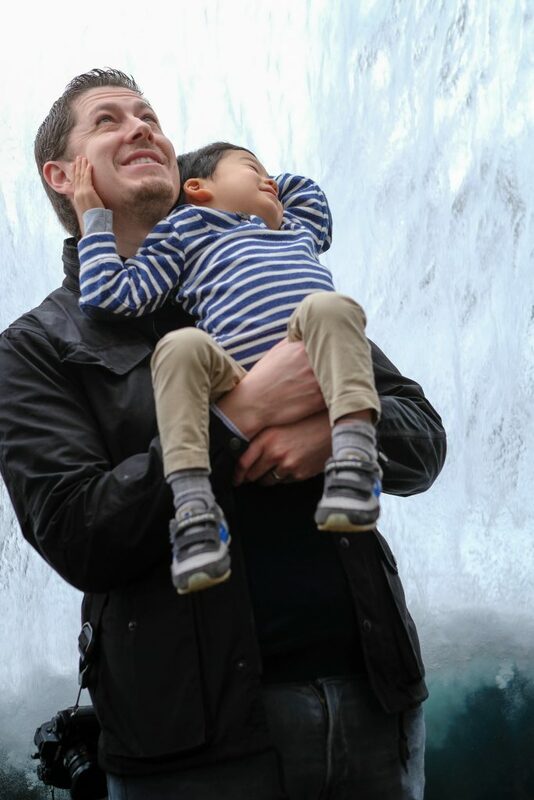 We’ve been several times as a couple (pre-kids) and for the past 2 years, we’ve had a chance to explore the more family-friendly side. 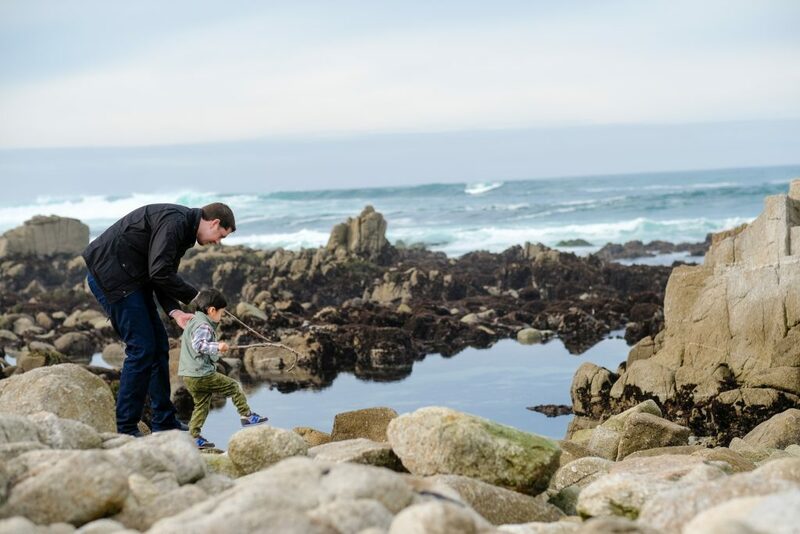 While you can make this into a day or weekend trip from the Bay Area, there is so much to explore across Monterey County. After a week in San Francisco, we usually like to spend another week winding (and wine-ing) down in Monterey County before heading back to the hustle and bustle of NYC. There are so many fabulous resorts, but many of them cater more towards adults. Sadly for us now, my favorite hideaways (Post Ranch Inn and Ventana Big Sur) are adults-only. We also considered the L’Auberge in Carmel but it’s still seems more for an adult getaway. 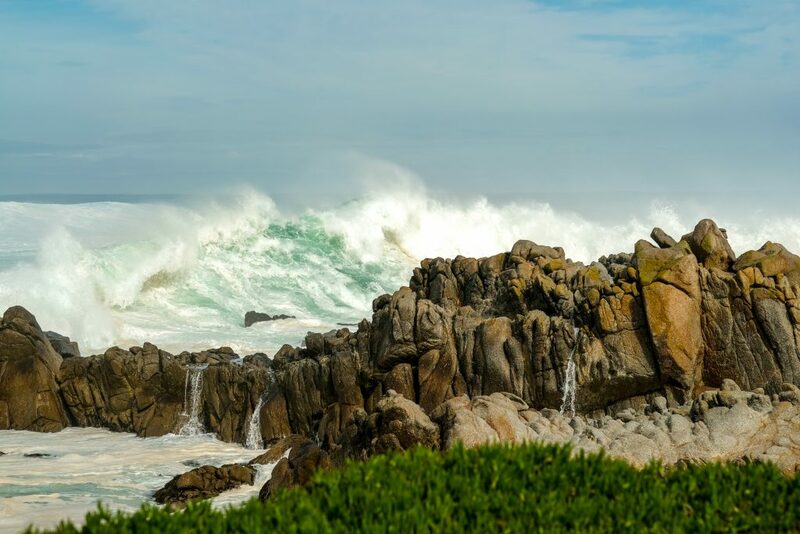 Monterey Bay offers some of your typical big chain hotels (Marriott, Intercontinental), a mix of families and business retreats, while Carmel-by-the-Sea has plenty of smaller bungalow style accommodations, though some descriptions read more motel-style. 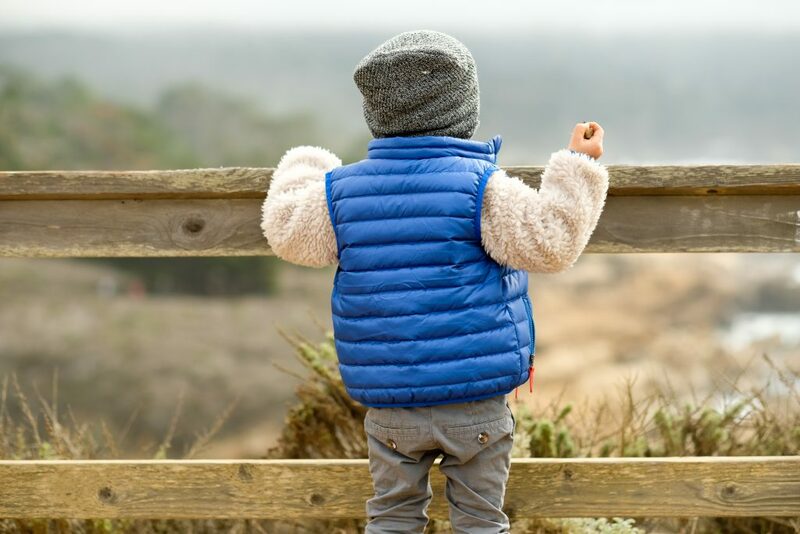 For a more luxurious yet family-friendly stay, we’ve stayed at the Carmel Valley Ranch, which is about 25 minutes inland in the Carmel Valley highlands. 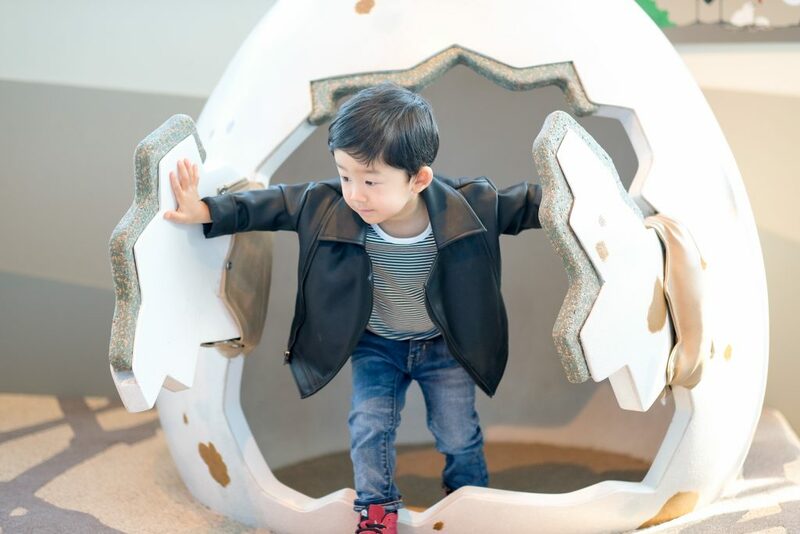 While it’s a drive to get to the attractions in Carmel and Monterey and the hiking and state parks, the Ranch itself is very kid-friendly with lots of activities and a Kids’ Club. Bash loved taking a stroll through the hills / vineyard and feeding the chickens. We booked the Vineyard Suite, which was a decent size for a small family. There is an upfront living room with kitchenette and a bedroom in the back; the separate spaces made it easy for us to hang out while Bash napped or went to sleep early. For avid golfers, you must stay at one of the hotels at Pebble Beach. We’ve stayed at the Inn at Spanish Bay without kids when we took my Dad golfing there for his birthday. I’m certainly no golfer, but my mom and I did drive the cart 18 holes and the views can’t be beat! This year, we wanted to be a little closer to town but still needed a bit more space so we could have Nick’s extended family over for dinner and hang out time, so we decided to rent a house. Through Sanctuary Vacation Rentals, we found the Sea Glass Sanctuary in Pacific Grove, which was a nice location (about 10 minutes to the Aquarium, 5 minutes to restaurants, and a 5 minute walk to the beach). Traveling with kids, it was great to have a home base and full amenities of home, though I did miss the daily housekeeping, turndown service, and room service! The house was very comfortable, clean, bright, in a quite neighborhood, and you could even walk to the beach! 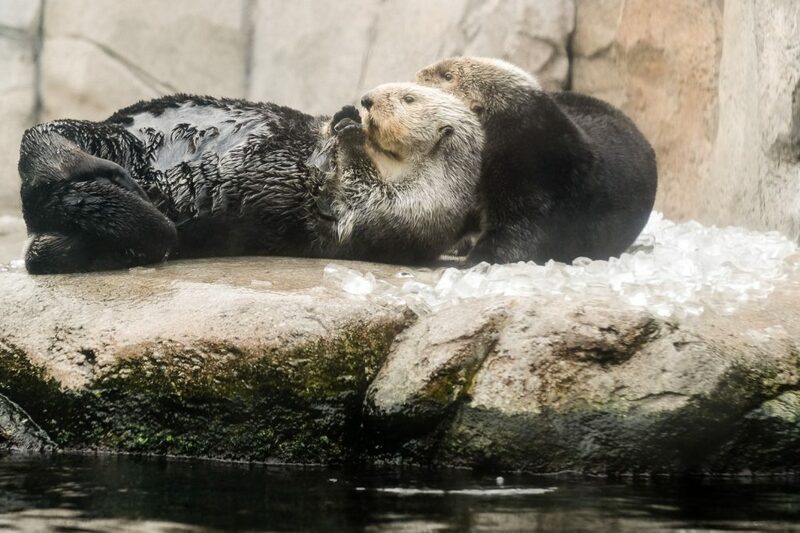 Don’t miss the sea otter feeding! 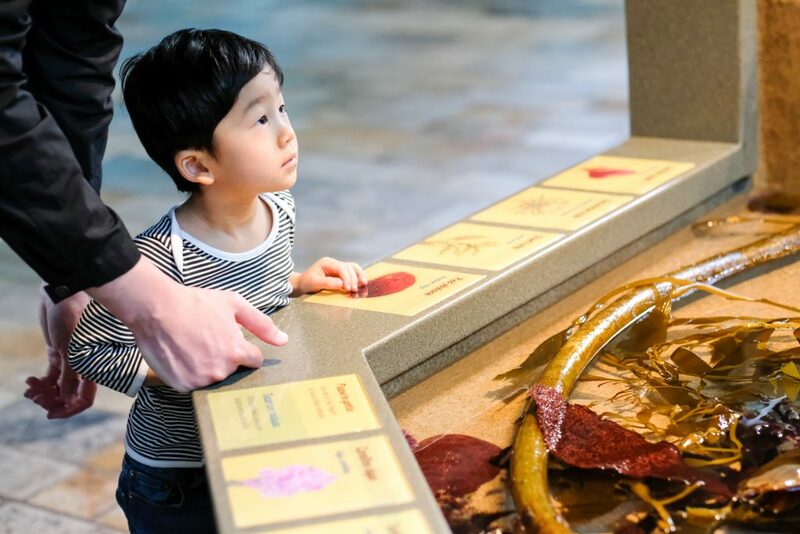 Monterey Bay Aquarium: While the cost is high ($49.95 Adults, Children 3 – 12 $29.95, Under 3 – Free), this aquarium is totally worth it and we go for 2 days every year! (Note: if you book through one of their hotel / special partners, you can get 2 day admission for the price of 1 day). Go early as it gets crowded and check out the daily feeding schedule to plan your route (don’t miss the otter feeding!). Bring water and snacks and plan to be here for awhile! 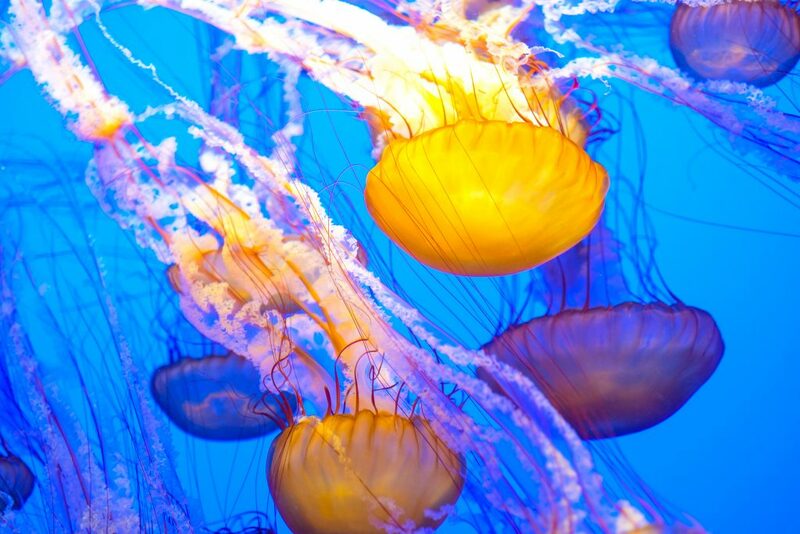 My favorites are the jellyfish, Nick likes the octopuses, and Bash can’t get enough of the touch pools! 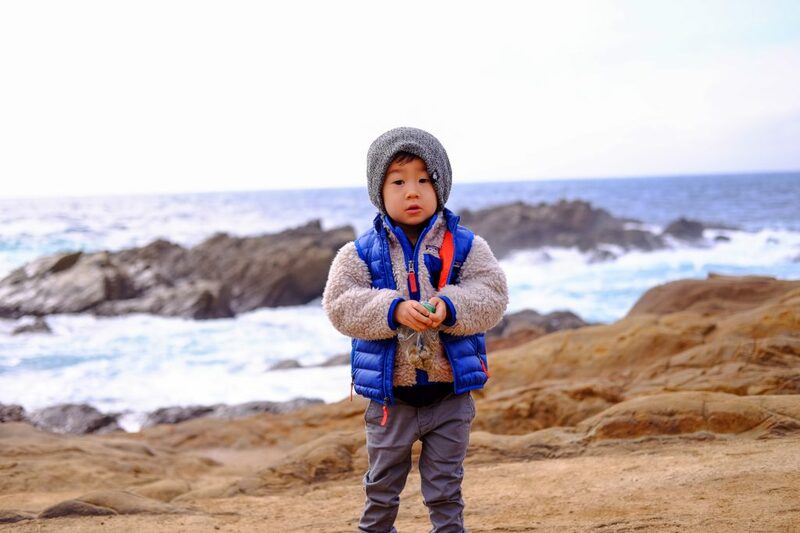 Cannery Row: After visiting the Aquarium, go for a stroll along touristy Cannery Row and stop along the beaches to check out the tide pools. Old Fisherman’s Wharf: Walking further south from Cannery Row will take you to this touristy spot. We like to venture off at the Coast Guard Pier to check out the cool working boats and say hi to the seals. We’ve always had these two kids’ play areas on the list, but haven’t yet made it as we really try to take advantage of the being on the beach. But people rave about the Monterey County Youth Museum and the neighboring outdoor Dennis the Menace Playground. Carmel Beach: At the end of Ocean Avenue, lies a picturesque beach that’s dog-friendly. Shopping in Carmel-by-the-Sea: There aren’t any address numbers in this quaint village and there are several wine tasting rooms, so take your time and meander! Some of my favorite shops include: Jan de Luz Linens for house wears and customizable French linens, Thinker Toys for a new toy for the plane ride home (plus check out their cool ferris wheel display), and Robertson’s Antiques where I’ve found some gorgeous antique Chinese pottery (you may want to save this one when your toddler is napping). Don’t forget to stop into the peaceful courtyards and alleyways. For a sweet treat, stop by the Cottage of Sweets (you can’t miss the Hansel and Gretel looking building). Point Lobos State Natural Reserve: Just south of Carmel, lies one of our favorite easy hiking spots. 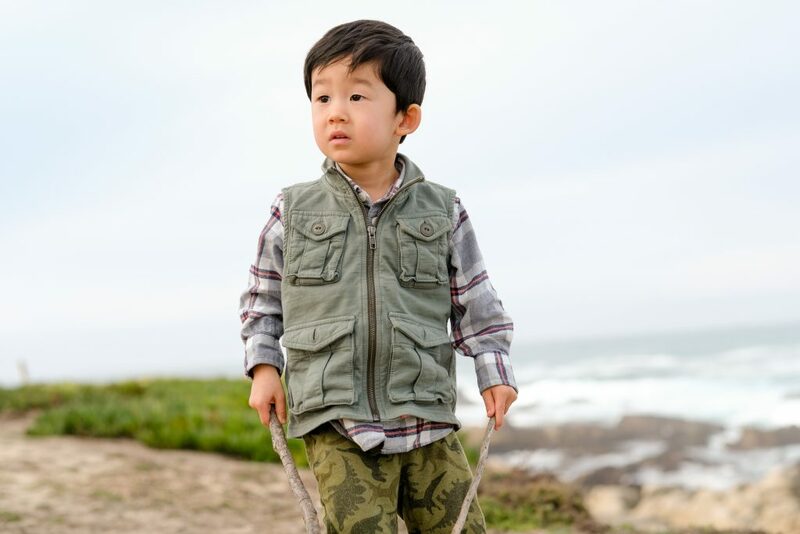 Walks are easy for the kids (you can bring a stroller, though there are some sections with stairs) and there are usually guides with telescopes and binoculars pointing out the sea lions and other wildlife. Depending on the weather and tide, there are some good tidal pools to explore near China Cove. Note: don’t stop at Monastery Beach. While it looks picturesque and uncrowded, the intense rip tides and severe currents give it the local nickname Mortuary Beach. Drive Highway 1 over Bixby Bridge: The drive down scenic Highway 1 alone makes a trip to Big Sur worthwhile. Stop at the pullouts along the highway to get some great pictures and check out the coast. Due to severe mudslides, parts of Highway 1 remain closed, so check here for construction updates and alternative routes. Hiking and Exploring: Big Sur is home to some great hiking, wildlife spotting, and beach combing. 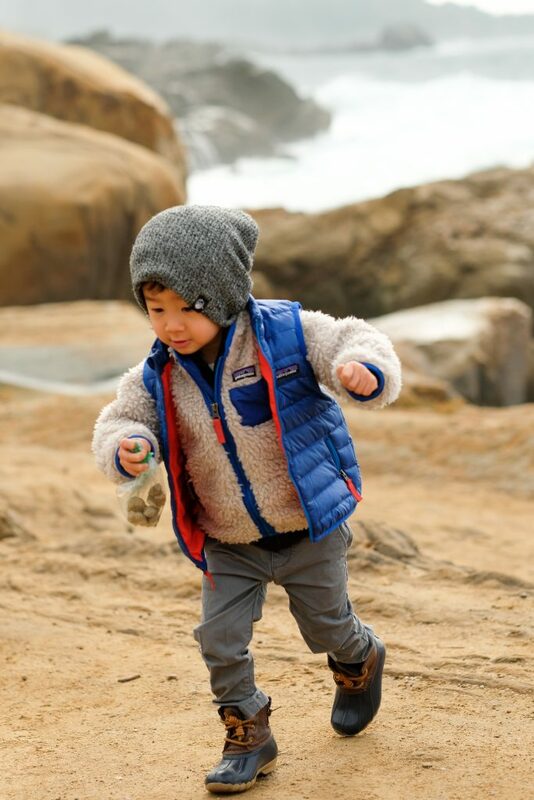 Our favorites include: Pfeiffer Big Sur State Park (easy trails through towering Redwoods and slimy banana slugs – what kid can’t resist? 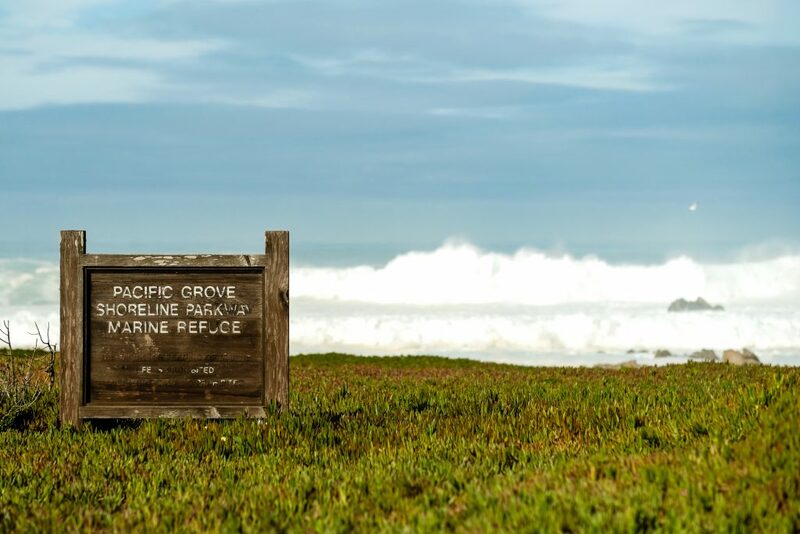 ), Pfeiffer Beach, Andrew Molera State Park (variety of trails and beach access), and Julia Pfeiffer Burns State Park (views of McWay Falls, many trails may be closed due to the mudslides, whale spotting in certain months). Lover’s Point: Gorgeous views of Monterey Bay and, if you walk along the path towards the Monterey Bay Aquarium, there’s a private, protected beach just for the sea lions! 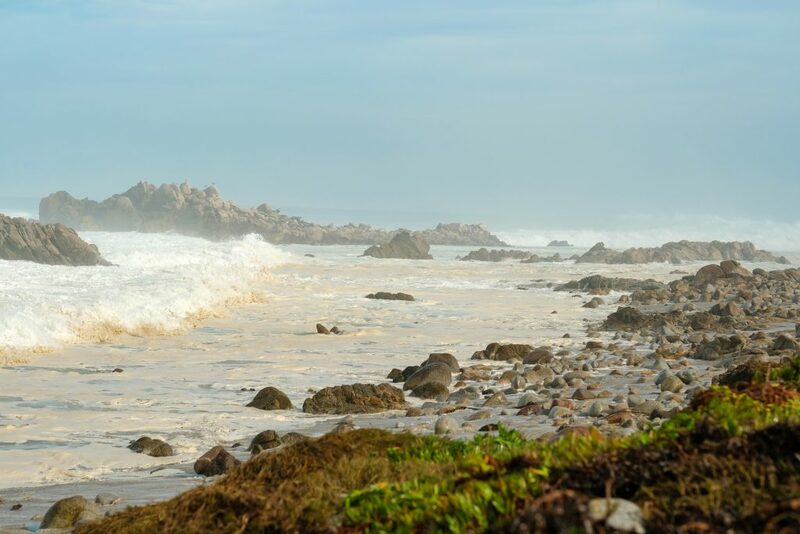 Asilomar State Beach: We like this beach for exploring tide pools and watching the surfers catch epic waves! 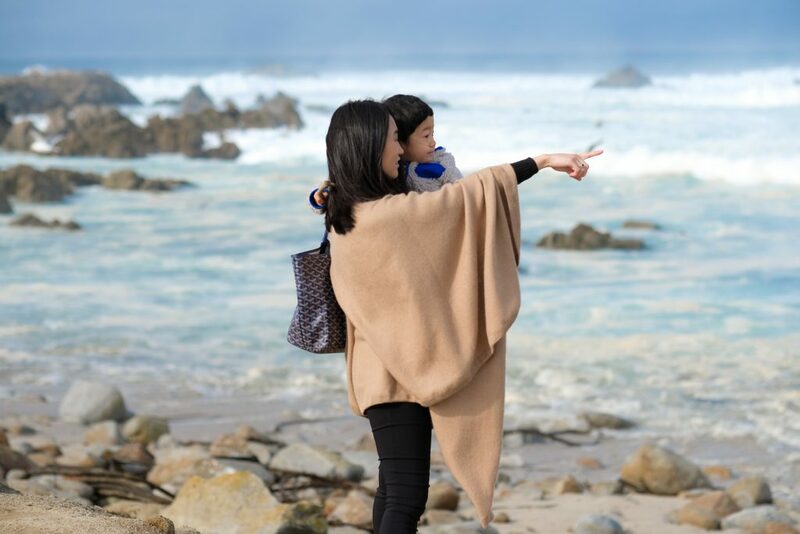 If you’re not staying at one of the Pebble Beach hotels, it’s definitely worth the $10.25 vehicle entrance fee to take in the scenic views along 17 Mile Drive. 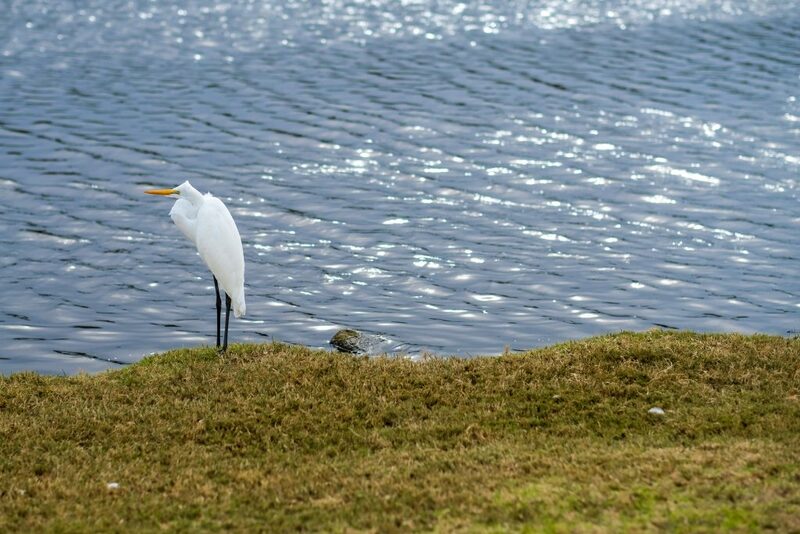 Stop along the pullouts for views of wildlife, the gorgeous coastline, and the famous Lone Cypress. You could also time the drive to eat at one of the delicious restaurants or pretend you just wrapped up 18 holes with a cocktail at The Terrace Lounge (which will also allow you to recoup the entrance fee). Our Instagram friends, @formativeadventures, suggested seeing the bagpipe player at Spanish Bay. They start around dusk and walk through the golf course and end up at the Inn’s fire pits. With Bash’s late nap, we didn’t get to check it out this time, but it’s on our list for next year! 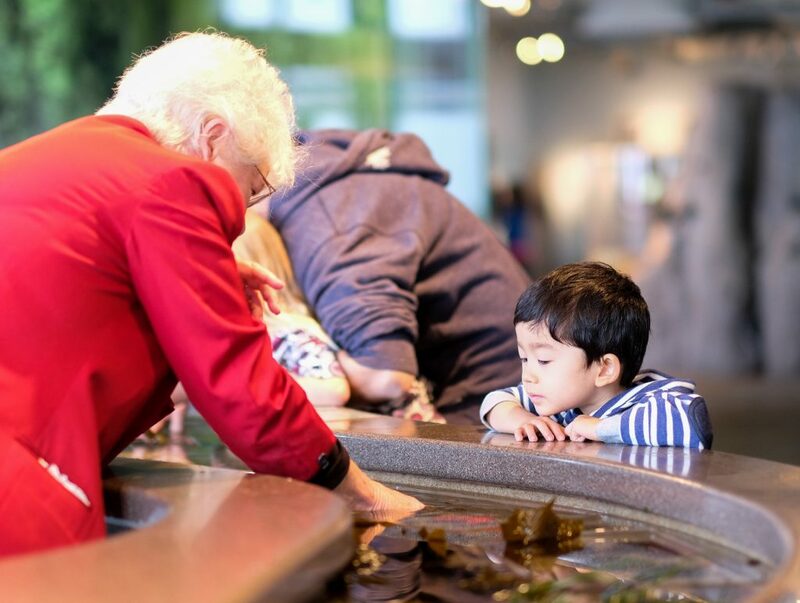 Formative Adventures also has a great article on Monterey, “Uncovering the Best Secrets of Monterey Bay with Kids”. Carmel Valley Ranch: this is a great option for those staying out in Carmel Valley. 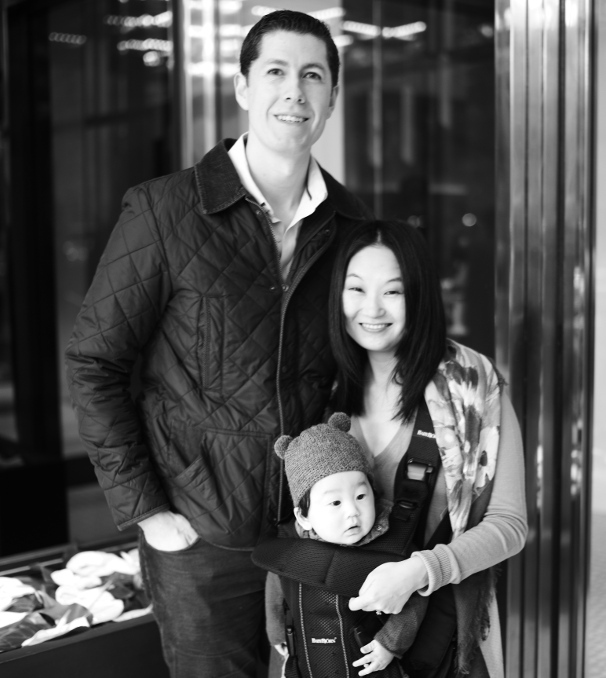 We’ve done both a date-night dinner and meals with the family at the main restaurant. Dametra Cafe: This cute little Mediterranean cafe has been our meeting spot for family dinners with Nick’s extended family. They are great with kids and break out the live music and belly dancing before dessert. Little Napoli: A cute little Italian restaurant that’s family friendly. 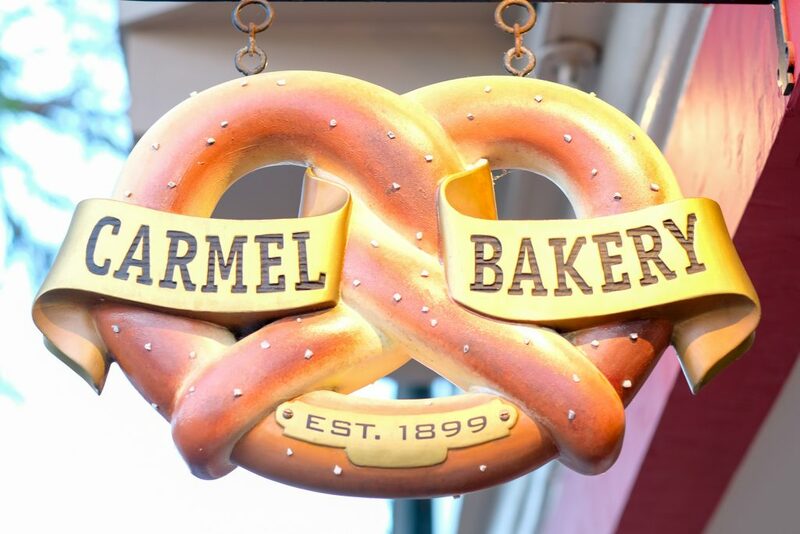 They also own the Carmel Bakery and Coffee House for a pastry or sweet treat. Salumeria Luca / Cantinetta Luca: Pick up picnic supplies at Salumeria Luca and return for dinner at Cantinetta Luca. Paris Bakery: We always get Nick’s birthday cakes from here and highly recommend the Fraiser (strawberry) and decadent Chocolate Ganache cakes. 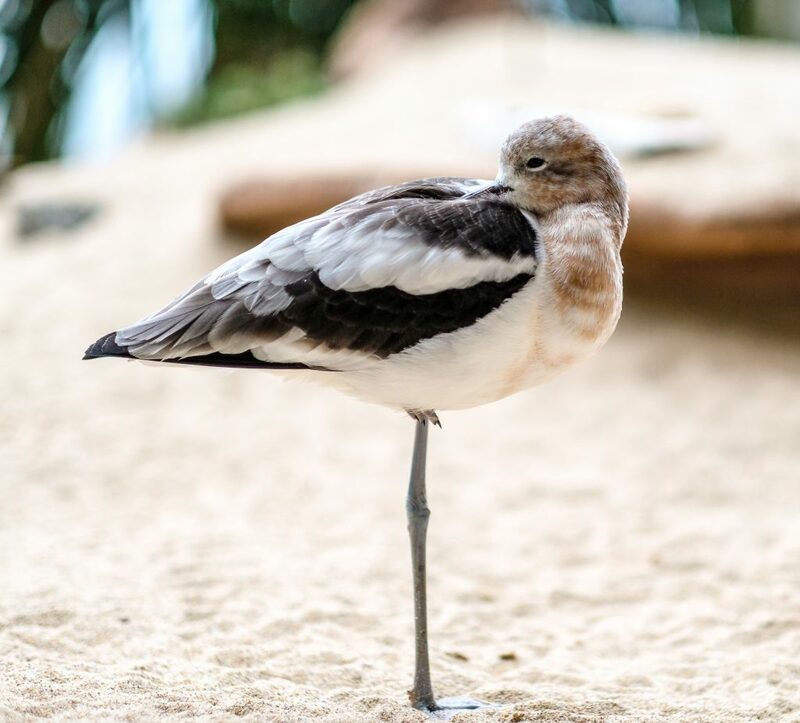 First Awakenings: Start your day off right with breakfast here before you venture to the Aquarium (a couple of blocks away). Pavel’s Bakerie: Such good pastries, we went back multiple times. Go early as lines will form on the weekends, but it is well worth the wait! Whaling Station Steakhouse: A great steak and seafood restaurant that’s also kid-friendly, with great service from waiters, some of whom have been there since it first opened in 1971. Sierra Mar at the Post Ranch Inn: Amazing coastal views and delicious food (make reservations in advance). This one is on the fancier side (we went before kids), so you might want to save this one for date night or try for lunch if you are bringing the kids. Nepenthe: Enjoy the spectacular views over a cocktail on the patio! 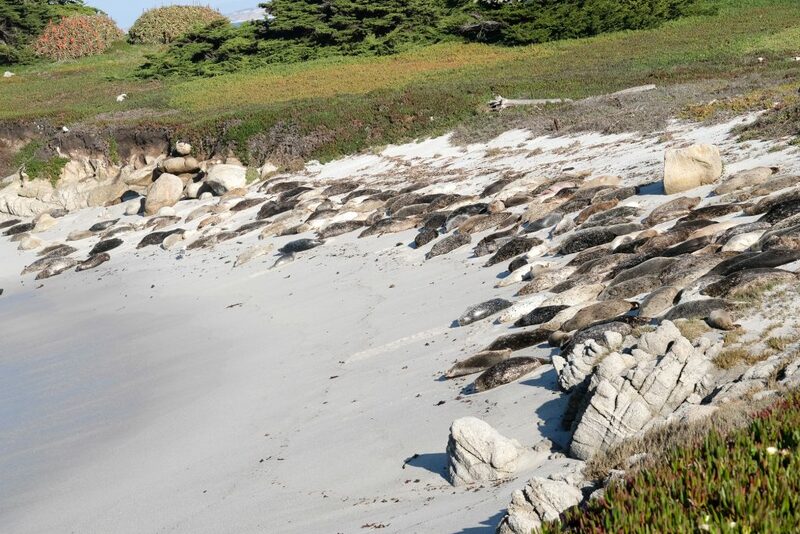 We can’t wait to head back next year – tell us your favorite hotspots in the Monterey Bay area!